Couples who want to get a divorce in Iowa must file papers in one of the eight judicial districts in the state. At least one of the spouses seeking divorce must reside in the state for a year before filing to dissolve the marriage. Couples can file for a “no-fault divorce” which means that neither party must show evidence of marital misconduct during proceedings. Consult an attorney. If you feel you can proceed on your own start by obtaining the state forms needed to dissolve your marriage. These forms are available as PDFs from the state’s judicial branch website and from state court offices. They include: a Petition for Dissolution of Marriage, a coversheet for the petition, a confidential information form and an original notice for personal service. You cannot use these forms if you hire an attorney to help you with your divorce or if you have children under 18 or who are still dependents. Fill out the forms and make at least two copies of the petition and the notice for personal service. Make three copies if you plan to serve your spouse the forms via an intermediary such as a sheriff or process server. Submit the forms and the copies to your district court clerk along with the filing fee in the county you or your spouse live in. The court can postpone payment of the fee for those who cannot afford the filing costs. The clerk signs the original notice for personal service form and time stamps all originals and copies of the other forms. Deliver the petition and original notice to your spouse. You can hire a process server or use a sheriff to deliver the forms for you. File a proof of service with the court to prove that you delivered the petition and the original notice. This form is available online. File a Notice by Publication available from the court if you cannot locate your spouse. You must also publish the notice in a newspaper. Wait for 90 days. Under Iowa law, that length of time must elapse before a judge can approve the divorce with a Decree of Dissolution of Marriage. During the 90-day period, one or both spouses must file a financial affidavit with the court. If you divide assets, you must also complete a settlement agreement. Consult a lawyer. Getting a divorce in Iowa when there are minor children involved is a complicated matter that involves mandatory classes, visitation agreements, child support and paternity proceedings. Also, many of the documents that need to be submitted to the court for divorces involving minors are not available as downloads and should be prepared by an attorney. Contact your local court clerk's office to find a court-approved class on the effects of divorce on children if you have minors. State law requires that parents involved in any issue that affects child custody or visitation attend this type of class. The Iowa Judicial Branch has a list of approved course providers on its website. Create a custody agreement in consultation with an attorney and your spouse. A state court bases approval of custody agreements based on the psychological, developmental and financial needs of the children involved in the divorce. The court may require that parents undergo mediation before a custody agreement is approved. Submit a child support agreement prepared by your attorney to the court. The Iowa Judicial Branch has worksheets and information on basic support obligations online. Submit an attorney-prepared Dissolution of Marriage to the district court in accordance with Iowa Code. Complete any other requirements such as financial affidavits, settlement agreements and other paperwork required by the court and in consultation with your attorney. Wait 90 days for a judge to approve the divorce and issue a decree of dissolution. In order to move on from an unsuccessful marriage, a divorce must be finalized. In California, this process can take more or less time depending on whether the divorce is uncontested, contested or obtained by default. Further, the state offers a more streamlined and quick divorce procedure for couples that meet certain requirements. In Oregon, divorce is called dissolution of marriage. Either spouse can file for dissolution and must do so in accordance with the procedures set forth in the Oregon statutes. During the dissolution proceeding, a court may divide marital property, award alimony, decide custody issues and terminate the marriage. 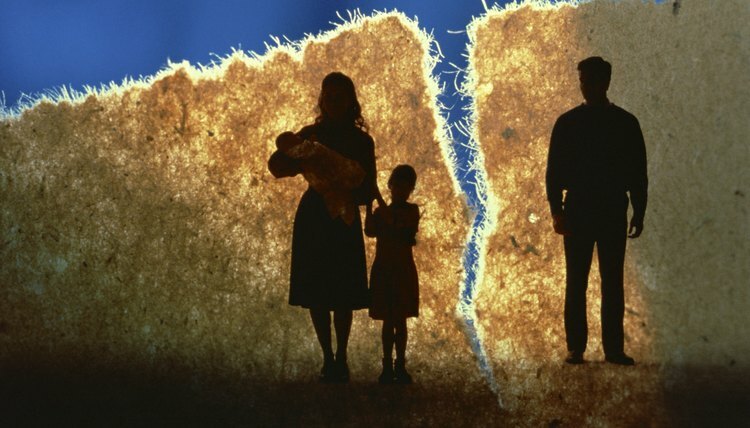 Divorce is known as "dissolution of marriage" in Florida. The procedure doesn't differ much if minor children are involved, but additional filings are required. It changes more significantly if you must finalize the proceedings by default. What Does Dissolution Without Children Mean?